In an interview with Tert.am, a co-founder of the National Agenda party, Avetik Chalabyan, commented upon the Azerbaijani Foreign Ministry’s recent response to the Armenian prime minister’s statement on Nagorno-Karabakh (Artsakh) - ruling out an exchange of territories for the status quo. Commenting upon Nikol Pashinyan's remark - voiced at a brief Q&A session with journalists at the Presidential Palace earlier this week - a spokesperson for Azerbaijan's Foreign Ministry questioned the logic behind his words, citing the call for withdrawing Armenian troops from the “occupied regions” as the underlying basis for reaching a final peace (under the auspices of the OSCE Minsk Group). “I don’t think that a statement made on the level of the Foreign Ministry spokesperson can lead the negotiations to a deadlock. 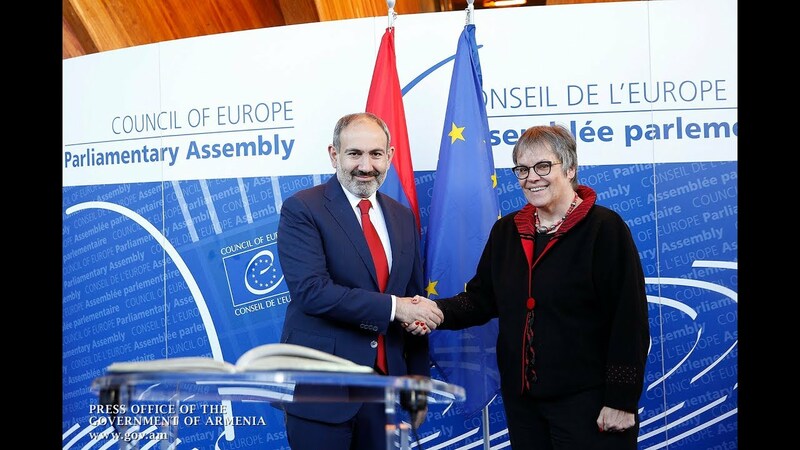 Moreover, I don’t find that Armenia should sit down for high-level talks unless Azerbaijan states unequivocally that they reject use of force and express willingness to resort only to peaceful methods to resolve this problem. Only in the absence of the blackmail rhetoric would reasonable solutions be thinkable. Otherwise, Armenia gains nothing from this kind of negotiations, as it has to concentrate on its own defense capacities to avert possible offensive military actions targeting Artsakh. It would be advisable, I think, for the new government of Armenia to clearly state about this from now on to impose a defensive behavior on Azerbaijan,” Chalabyan said.